Fruit flies are a common nuisance pest that usually invade orchards, breweries, restaurants, supermarkets, hospitals, canneries and homes. Adults measure about 1/8" in length and range in color from dull tan to brownish yellow or brownish black. Their eyes are usually bright red, but can also be very dark red or brown. They are found world wide and throughout the United States. Not only are they a nuisance pest, fruit flies may also act as disease vectors. In addition to this, adult females can lay up to 500 eggs that hatch in about 30 hours! That being the case, it is extremely important that integrated pest management (IPM) measures are taken to prevent, or at the very least, limit their breeding sites. Fruit flies are primarily attracted to fresh fruit and vegetables - nearly any material that is fermented by yeast. They are also attracted to decaying organic matter and can be found around fermenting water from refrigerators. In restaurants they are commonly seen in sink and floor drains where decaying food scraps are found. Dirty or sour mops and rags, and fermenting pet food are common breeding areas. Eliminating all breeding sites is the key to controlling fruit fly infestation. In restaurants when floors are mopped and food preparation areas, such as counter tops are wiped down, accumulated food particles are often found in cracks and crevices where it ferments, thus providing ideal breeding conditions. Cracked, missing and loose floor and wall tile and missing grout should be repaired or replaced to eliminate food scrapes from accumulating. The use of microbial floor cleaners is very effective for floors. Mops should be cleaned and/or replaced when dirty. Food can also be found under baseboards, so if it doesn't sit flush on the floor, sealing any gaps will greatly help eliminate breeding sites. 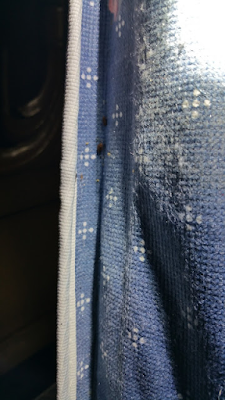 If you discover these pest are coming from outside, reducing the screen size (mesh) can be helpful since some species can easily penetrate ordinary screens. Floor drains should be cleaned with foam drain cleaners to break down the build up of biofilm. If problems still persist give us a call and a friendly and knowledgeable Pest Control Professional will conduct an inspection in and around your business or home, find any breeding areas and eliminate the problem for you. Call us. Service - Solutions - Satisfaction, Guaranteed! 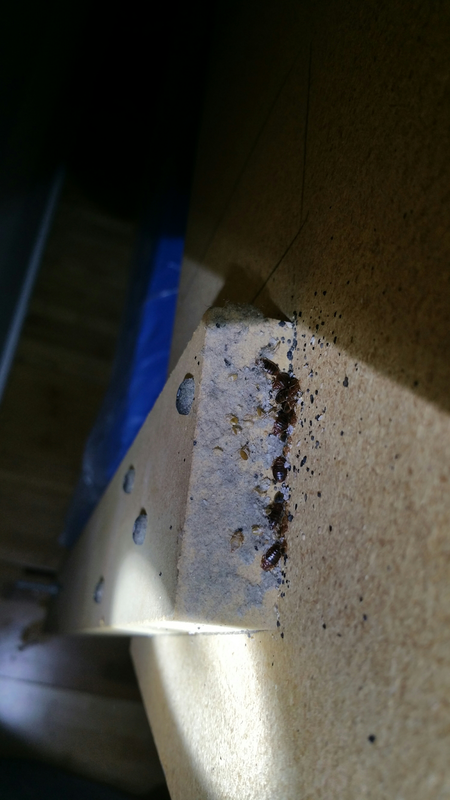 One of the most successful life forms on earth are ants, in fact according to many pest management professionals ants are at the top of the list when it comes to structural pests. What makes them so successful is their efficiency, tenaciousness, resiliency and numbers. It's a good thing that most ants live outdoors, however, some make their nest in or around structures and therefore can become a nuisance, get into food, attack humans and/or cause structural damage. In order to successfully get of ants, properly identifying the type of ants and why they are drawn to the structure is key. There are many different types of ants. Identifying these type of ants that are invading your property is huge because each species are drawn to different foods and environments. 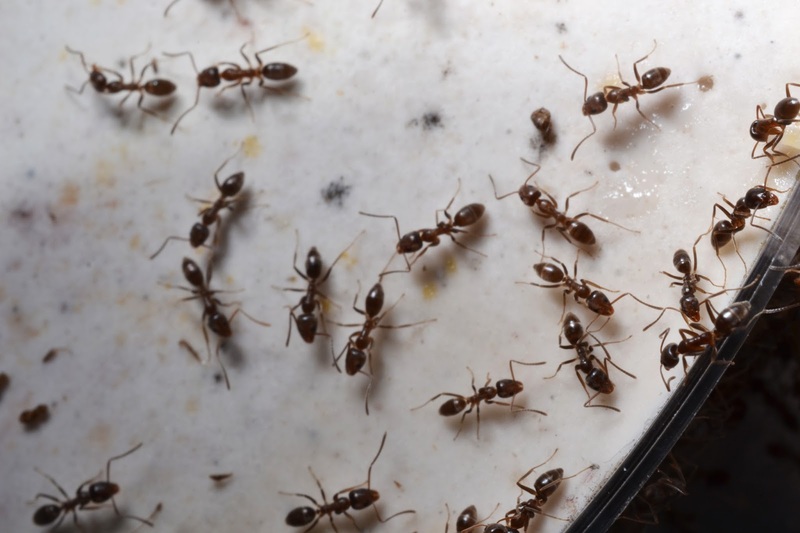 There are 3 types of ants that are commonly known to invade your house or place of business. Those 3 are Carpenter Ants, Pavement Ants, and Argentine Ants. 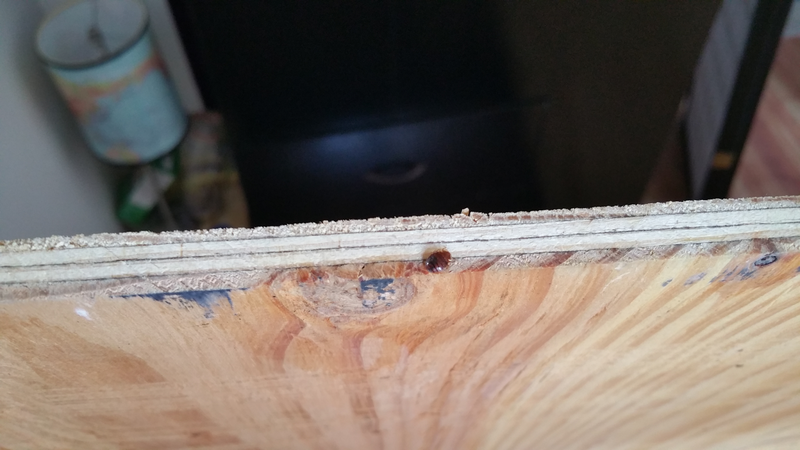 Let's take a look at Carpenter Ants. Carpenter Ants are drawn to wood, but not just any wood. They like to nest in wood that has a high moisture content and suffered water damage and has been softened up by decay. High humidity is essential for the development of carpenter ant eggs and larvae. They do however have the ability to create an environment of humidity and can thus spread into sound wood. Pavement Ants are commonly found in commercial buildings. They get their name because of nesting under the pavement and sidewalks. They are known for making soil mounds commonly seen in sidewalks, pavement cracks, around foundations and decorative stones. Anything that provides a protective cover you can find pavement ants. Inside structures they can be found nesting inside walls, in wall insulation, and under floors. This species of ants particularly likes to be near heat sources. Indoor swarms can happen if they are found under slabs. Argentine Ants are seen above when indoor nests near moisture sources such as water pipes, sinks, and potted plants. When conditions outdoors are unfavorable, such as too wet or too dry, they can invade buildings in large numbers. Because they crawl over refuse, sputum, and carrion to mention a few, they are responsible for spreading disease organisms. There are three components to an inspection - 1) Finding the Nest, 2) Detecting Foraging Routes and 3) Spotting conditions conducive to infestations. Many people use over the counter gels or liquid baits to fight an infestation. Improperly placements of gels or liquid baits will do little good. Also used are over the counter sprays, but this only kills the ants that are seen or foraging for food. Locating the nest goes a long way if you are to eliminate ants for good. Sometime locating the nest is not possible, so looking for other conditions is helpful. Look for and repair broken seals around windows and doors, water damaged wood and cracks in foundation walls. Of course sanitation is very important inside as well as outside. Correct any moisture related issues inside and outside the structure. Keeping the perimeter of the structure dry and keeping vegetation growth at least one foot from the structure will aid in ridding your home or business from ants. If these tactics are ineffective call your local pest control professional. They have experience in locating and treating the nest, applying a barrier treatment, baiting and applying a residual that is safe and long lasting. If you want to increase your chances of keeping your home or place of business free of insects and rodents, then spring maintenance is not an option. Warming temperatures and increased rain, starting from March through May, results with insects such as ants, sow bugs, earwigs, flies and of cause mosquitoes to spring into action. Ticks and fleas are a major concern as well due to the relatively warm winter in which they survived. Rodents like mice and rats add to the problem as they are always happy to invade homes and businesses year round. What can home owners do to protect their family and friends from these pesky, disease carrying invaders? What can business owners do to protect their employees and/or customers? Let's begin with food. Insects and rodents are small, so it doesn't take much to satisfy their hunger. If you keep garbage cans and/or dumpsters clean and keep the lids on them, pest will be forced to find food somewhere else. It's even helpful to have dumpsters and garbage cans treated at least once a month during the spring and summer as an added protection. Replace cans and lids if they have holes in them. Holes in the lids not only allow access, but allows rain water to collect in the cans which can result in a breeding area for mosquitoes. Let's consider water. Insects and rodents thrive when water and moisture are readily available, In fact like humans they can go longer with out food than water. Eliminating water and moisture around the foundation, crawlspaces, basements and attics is very important. Take a look at the condition of your downspouts as an example. If your downspouts are damaged or not working properly, water can accumulate around the foundation and slowly seep down into the basement creating an excellent environment for insects and rodents to breed. Even if you don't have a basement water sitting around a slab on grade brings insects of all types. Downspouts should extend at least six feet. Additionally the grading around a structure should have enough of a slope so rain water can drain away. 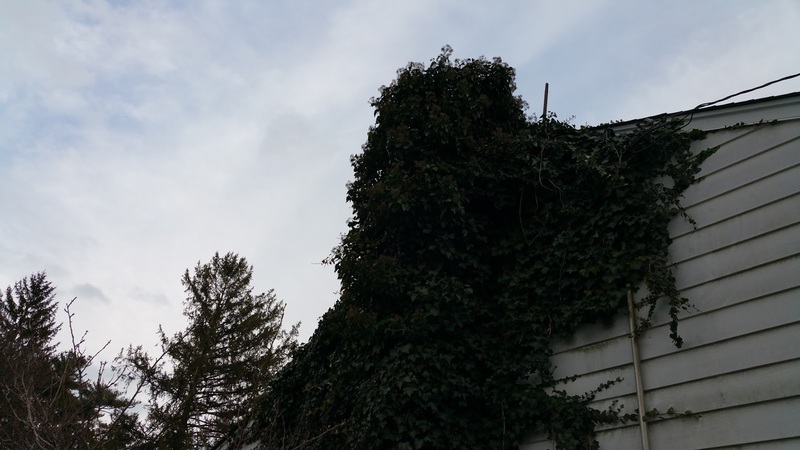 Also make sure gutters are clean, free of leaves and dirt, and properly in place. Finally let's take a look a shelter. Outdoors, rodents have to move about undercover, that's because they're constantly hunted by predators like birds and cats. Keeping grass cut low and eliminating weeds will help keeps rodents at bay. Low cut grass and a weed free perimeter makes them easily seen by predators and so will discourage them from coming around the property. Keeping fire wood away from the exterior walls will help reduce termite and carpenter ant infestation. It's wise to keep the perimeter of the structure as dry as possible, so remove items that will create a cover for insects and that holds moisture. Cutting vegetation back at least one foot away from the structure will also keep rodents and insects from invading your home or business. 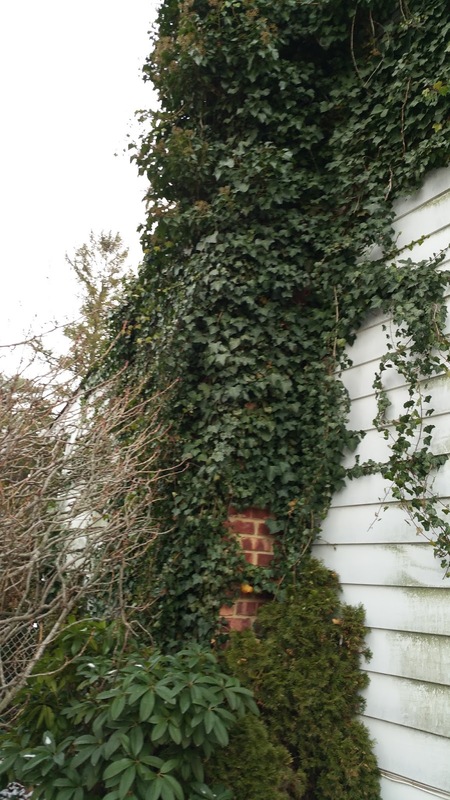 If vegetation is allowed to grow on the building it will only invite both insects and rodents. The pictures to the right and left are great examples of maintenance that was neglected at this house. 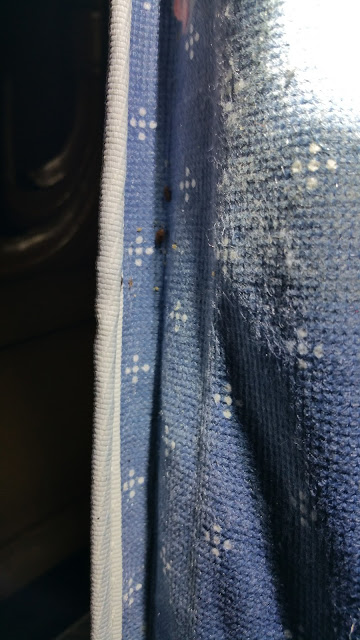 As a result of this over growth mice, bugs, mosquitoes and mold growth was found both inside and outside the house creating an unhealthy environment. Repairing doors, screens, windows, attic louvers, thresholds and cracks on the exterior walls will help keep unwanted guess away. Be aware of wood mulch. Wood mulch looks nice and enhances the appearance of plant beds. It's also great for plants as wood mulch retains moisture to the plants roots, thus reducing the need for watering, but it also attracts wood destroying insects. Having wood mulch treated with Eco friendly products monthly helps reduce wood destroying insect infestation.